When I was a little girl, I was never taught how to “do” hair. I can do a basic braid, and pull my hair up in a ponytail – but that is about the extent of my hair styling knowledge. I grew up on the beach where a ponytail was the only thing that kept you from a zillion tangles and never really needed to learn how to do much else. Man, I regret that though. I see my teen daughters now doing their hair in all kinds of beautiful styles and I have to admit I feel a twinge of jealousy. My only saving grace for doing my own hair that looks “fixed” and still elegant is with the help of products like Lilla Rose FlexiClips – which I have been a huge fan of for years. Lilla Rose has an entire line of beautiful hair accessories for all types of hair. Short, Long, Straight, Curly, Thick, Fine – doesn’t matter. Lilla Rose has beautiful hair clips and bands that give your locks an added sparkle that every lady wants. Independent Lilla Rose Consultant Kathleen Coffee sent me two of her favorite Lilla Rose products to be included in this year’s Diva Holiday Gift Guide. The Leather 8 is from their newest collection and it made with genuine leather. You can choose to use it with one of their matching colored sticks or one of their other sticks to add more color. She also sent in a set of the U-Pins which are my absolute favorite. 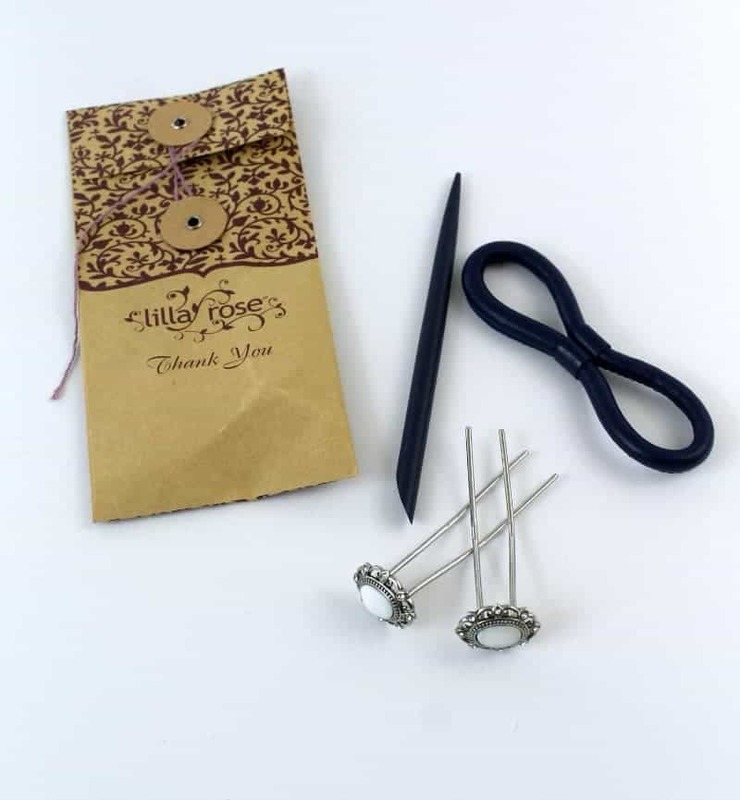 These elegant little pins will secure a nice bun, french twist, and more! They have dozens of designs to choose from! I keep a set of these on my desk, in my car, and in my purse for an easy up-do! Lilla Rose products are made of the highest quality stones and medals – I know – I have had some clips for years that still look just as great as the day they were purchased! The Lilla Rose product line centers around unique, functional, and well-made hair jewelry. 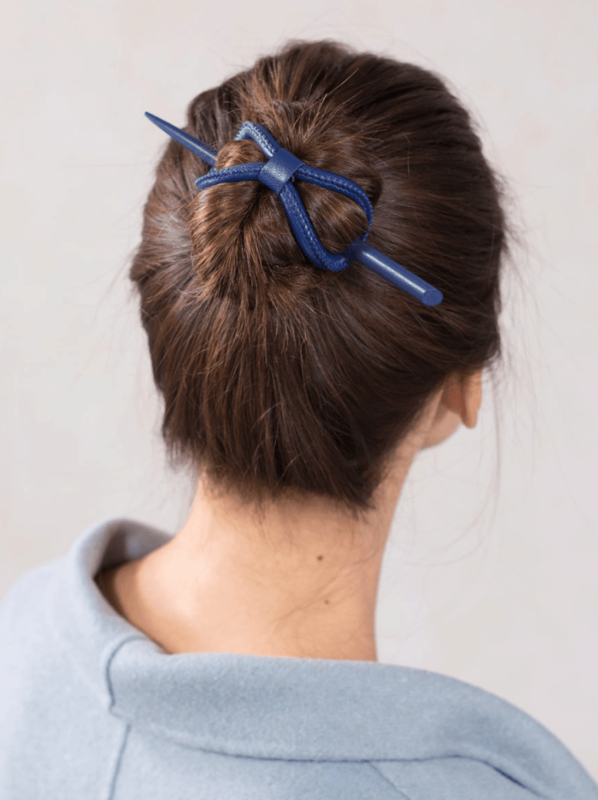 From their flagship Flexi Hair Clip, they have expanded to Hair Sticks, the Flexi Oh!, Hairbands, and Bobby Pins. From there they rounded the line out with beautifully designed U-Pins and even Badge Clips.